A place in the last 16 of the French Cup will be at stake when Sannois take on Nantes on Saturday evening. The National 1 side set up a meeting with les Canaris by beating the likes of Mtsapere, Sedan and Montpellier and they are now on a quest to claim yet another major scalp in the Coupe de France. 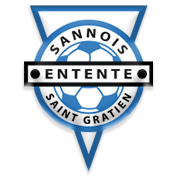 Sannois are eyeing their fourth consecutive clean sheet in the competition, but they will have a big fish to fry in Saturday’s football game against Nantes. The Ligue 1 team have been struggling to find their best form in the French top flight of late, but they are definitely capable of beating the National 1 side in the French Cup. Les Canaris are eyeing a place in European competitions and we predict that they are going to prove their worth on the field.